Complete with entree, sides and a dessert! You can purchase our meals online HERE! 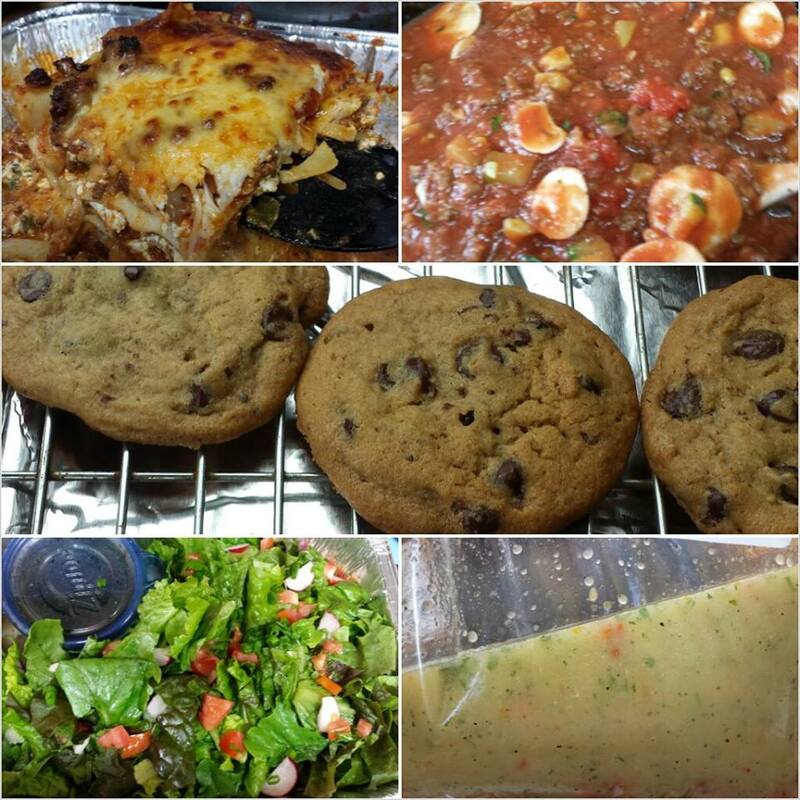 Here’s the DEAL… I love to cook. My grandmother did not cook with me growing up because she (much like myself at that age) spent most of her time outdoors instead of in the kitchen with her mother. When I got married and began learning some of my mother-in-laws recipes or experimenting with my own I began to realize how much I loved to cook! It was a little joke around our house that I was a blind cook because I never tasted the food before serving it, which most of you know is a BIG no-no. Thankfully it turned out great 99% of the time! After 11 years of marriage, almost 10 of which have been spent as a mother I have explored and experimented with MANY recipes. I’ve given up on some and perfected others. I would love to take some proffessional cooking classes in the near future to learn even more. Thanks to some new friends I have had the pleasure of learning to cook for Dairy Free and Gluten Free diets. I haven’t perfected them yet, but the journey to get there has been tasty and wonderful! While I wait for my prouce to grow I decided to share my love of cooking with friends and family. One thing I dont love about cooking is the dishes. 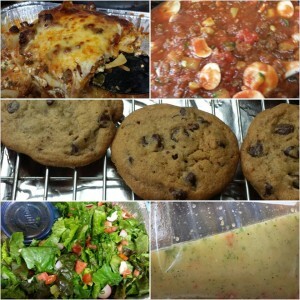 So I came up with a way to provide a warm delicious meal complete with dessert AND keep away the dishes! My $25 Meal Deals allow me the joy and pleasure of cooking for someone other than my little munchkins who would prefer hot dogs and maceroni and cheese anyway…. AND saves you the time and trouble (for those of you who may not enjoy cooking or dont have a lot of time) AND keeps the dishes at bay. IF you dont necessarily need a meal right now, but know someone who does…. maybe they are sick, maybe they just had a baby, maybe they have had a lot going on and could use the help… Maybe you are a wonderful husband who would like to surprise your wife… Starting this week, we will be selling $25 Meal Deal VOUCHERS. These can be used by ANYONE and can be scheduled anytime, as long as it can coordinate nicely with my calendar, which is quite flexible. Meal Deal Vouchers are also quite convenient for anyone with Special Diets because we can work out a special meal for them, whether its all veggie (ie stuffed peppers or zucchini roasted potatoes and side salad with peach cobbler) OR Dairy free OR Gluten free…. we can work around just about anything. OR Contact me to purchase a Voucher NOW.